Verizon announced its Q4 2012 earnings on Tuesday and Verizon Wireless, a subsidiary between Verizon Communications and Vodafone, noted that the iPhone was a particularly hot device during the fourth quarter. The carrier said sales of the iPhone accounted for 63% of the carrier's total 9.8 million smartphone unit sales during the quarter. That's 6.2 million iPhone units sold, although we don't know exactly how many were iPhone 5 sales. We have an idea, however. As Tech Crunch notes, a large number of those devices must have been the iPhone 5. Why? Because Verizon's chief financial officer Fran Shammo noted during a conference call that more than half of the iPhone sales were capable of surfing on the carrier's 4G LTE network. That means the carrier sold at least 3 million iPhone 5 units. Verizon Wireless also noted an 8.5-percent increase in service revenues year-over-year and an 8.4-percent increase in year-over-year retail service revenues. The carrier now serves 92.5 million retail postpaid connections (not to be confused with overall customers, as many have more than a single line). 58 percent of the retail postpaid revenue came from smartphone sales, up from 53 percent during the third quarter of 2012. Verizon Communications as a whole reported a loss of $1.48 per share during the quarter, however, which was down from a loss of $0.71 per share during the same quarter last year. 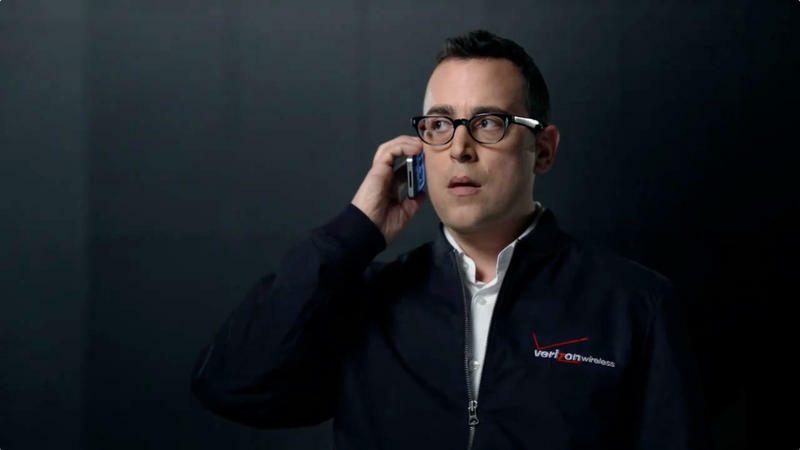 NEW YORK – Verizon Communications Inc. (NYSE, Nasdaq: VZ) today reported strong customer and revenue growth in Verizon Wireless and Verizon FiOS services in fourth-quarter 2012 — positioning the company well for 2013. "Verizon seized growth opportunities in the fourth quarter to cap a year of solid progress across the entire business," said Lowell McAdam, Verizon chairman and CEO. "We delivered a total return of 13.2 percent to shareholders in 2012, and we enter 2013 ready to accelerate the momentum we've achieved and create significant shareholder value in the years to come." A reduction of 7 cents per share due to impacts from Superstorm Sandy yielded a total of 38 cents per share in adjusted fourth-quarter 2012 earnings (non-GAAP). Fourth-quarter 2012 charges totaled $1.86 per share: $1.55 per share related to severance, pension and benefit charges primarily for the annual actuarial valuation of Verizon's benefit plans as well as the annuitization of various pension liabilities during the quarter, and 31 cents per share related to the early retirement of debt and other restructuring activities. In fourth-quarter 2012, Verizon's consolidated quarterly operating revenues exceeded $30.0 billion for the first time in company history. This represented a 5.7 percent increase compared with fourth-quarter 2011 and was the company's highest year-over-year quarterly growth rate in 2012. For full-year 2012, Verizon's revenues totaled $115.8 billion, an increase of 4.5 percent, or $5.0 billion, compared with 2011. In fourth-quarter 2012, Verizon saw year-over-year revenue increases across all strategic growth areas: 8.5 percent for Verizon Wireless service revenues, 15.7 percent for FiOS revenues and 5.3 percent for strategic enterprise services. Fourth-quarter 2012 operating revenues were $10.0 billion, a decline of 1.5 percent compared with fourth-quarter 2011. Consumer revenues grew 4.1 percent compared with fourth-quarter 2011. On an annual basis, 2012 consumer revenues totaled $14.0 billion, an increase of 3.2 percent compared with 2011 and Verizon's highest annual revenue growth rate in consumer wireline in 10 years. ARPU for FiOS customers continues to be more than $150. FiOS services produced about 68 percent of consumer wireline revenues in fourth-quarter 2012. About two-thirds of FiOS consumer customers have purchased a "triple play" of phone, Internet and video services. Verizon has been replacing high-maintenance portions of its residential copper network with fiber optics to provide enhanced services and to reduce ongoing repair costs. In 2012, Verizon migrated 223,000 homes to fiber, which contributed to an 11 percent improvement in trouble reports across Verizon's entire copper network for the year. The company has a target of 300,000 additional migrations within FiOS markets in 2013.